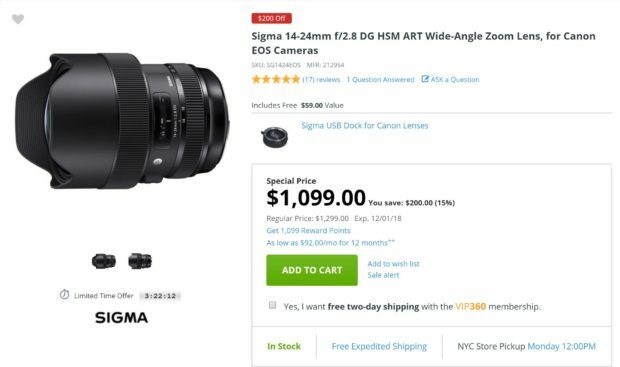 Hot Deal – Sigma 14-24mm f/2.8 DG HSM Art Lens for $1,099 at Adorama ! Sigma USA authorized dealer Adorama Camera has a hot deal on Sigma 14-24mm f/2.8 DG HSM Art lens for $1,099.00. Currently lowest price online ever. Regular price for this lens is $1,299.00 at B&H Photo. ← Up to $700 Off Canon Black Friday Sale will be End Tomorrow !